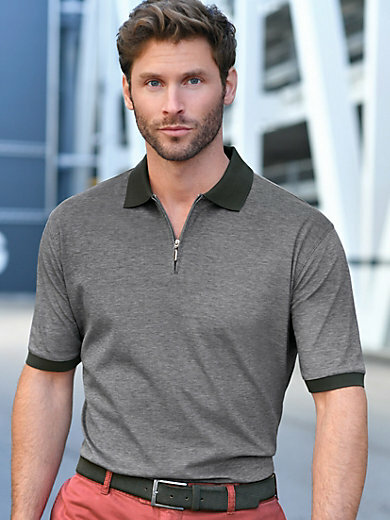 Polo shirt by E. MURACCHINI with 1/2-length sleeves and a zip. Smart, top-quality piqué polo shirt made from the finest cotton with a unicoloured collar and cuffs, and side slits. 100% cotton. The polo shirt is machine washable.